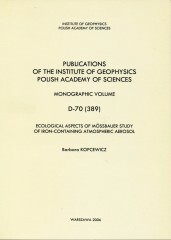 Editor(s): Odzimek A., Barański P., Dziembowska A. 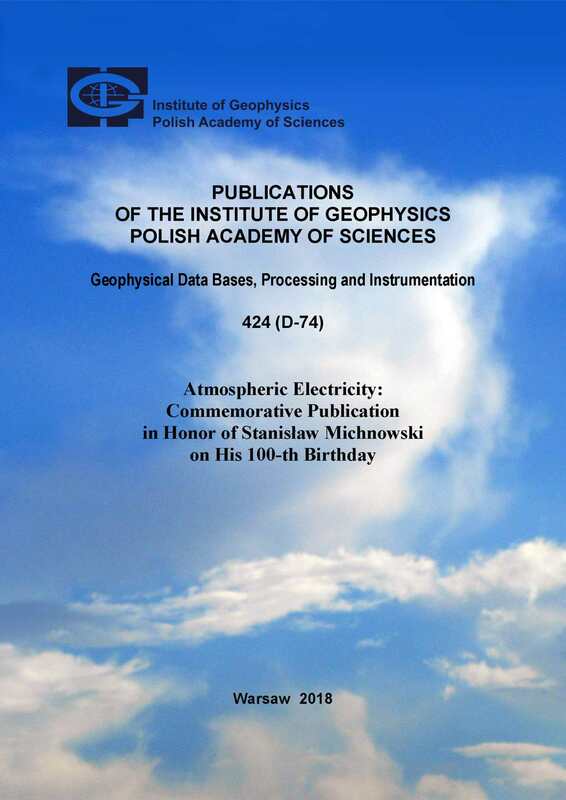 The current issue of Publications of the Institute of Geophysics, Polish Academy of Sciences, is to commemorate the Hundredth Birthday of Stanisław Michnowski – the pioneer of experimental and theoretical research in various branches of atmospheric electricity. 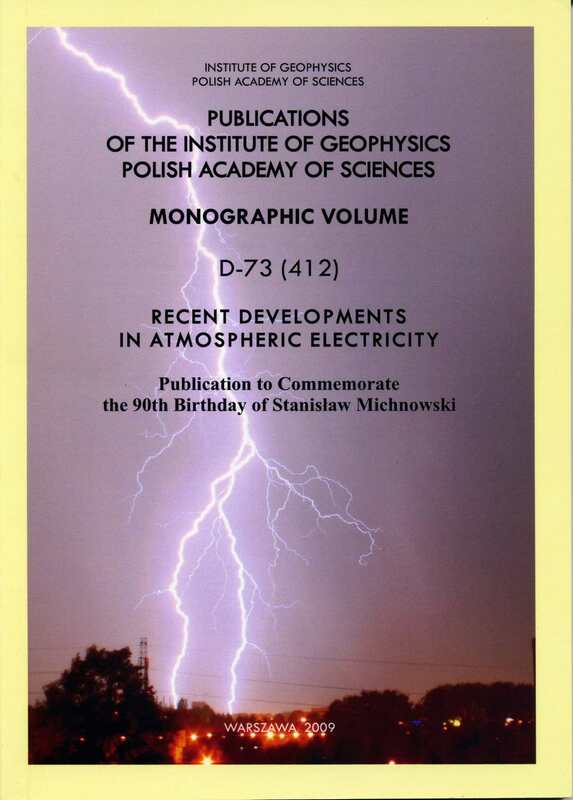 We republish here some of his influential early papers, which are hardly available in electronic form. We also include personal notes from the coworkers, colleagues and friends of this outstanding Scientist and Man, giving evidence for his achievements, merits, and role in the scientific communities. 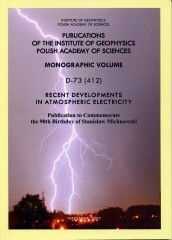 Editor(s): Barański P., Kubicki M.
The present publication contains the contributions presented during the Jubilee Session organized to commemorate the ninetieth birthday of Stanisław Michnowski, many-year leader of the atmospheric electricity group at the Institute of Geophysics, the pioneer of atmospheric electricity and thunderstorm research in Poland, and world-renown expert in this field. 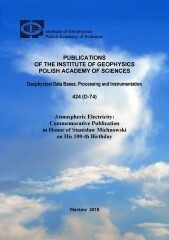 The Jubilee Session was held in Warsaw on November 20, 2008. 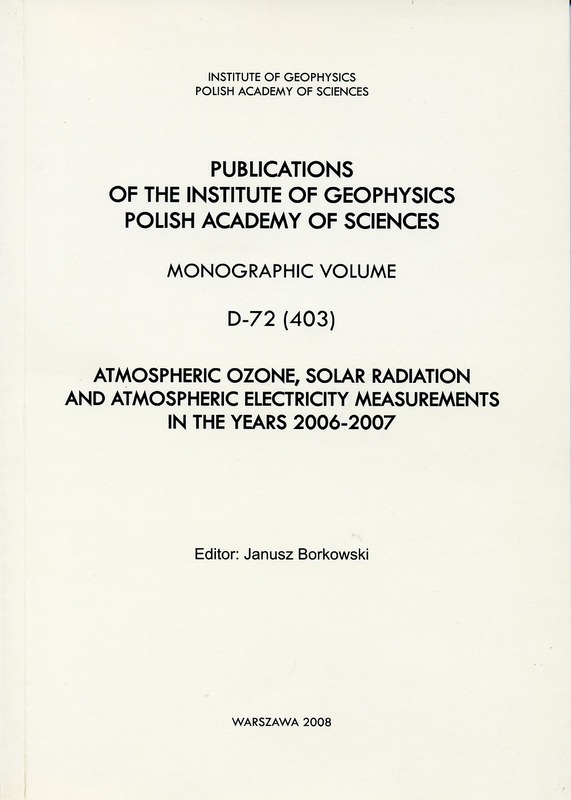 The present issue, with subtitle Monographic Volume, is published in place of the former yearbooks entitled: Atmospheric Ozone, Solar Radiation, Belsk and Results of Atmospheric Electricity and Meteorological Observations, S. Kalinowski Geophysical Observatory at Świder. 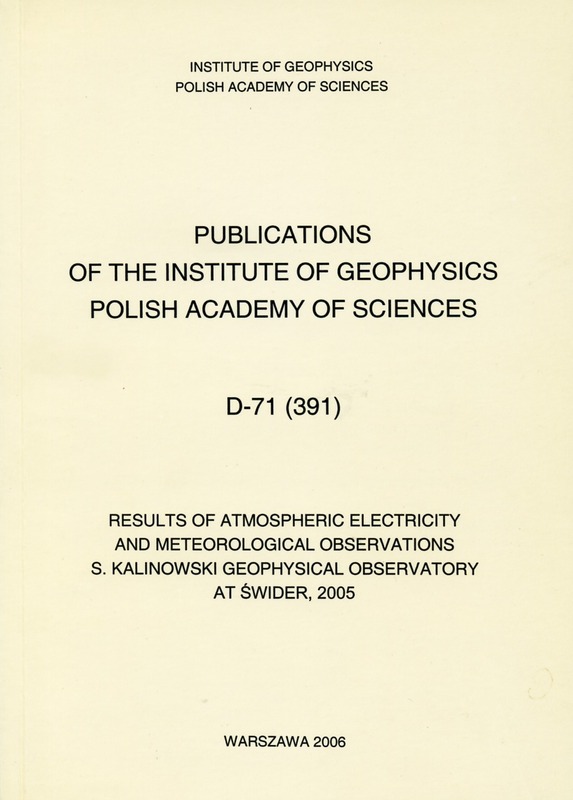 The present issue contains the results of recordings of some elements of atmospheric electricity and daily observations of major meteorological factors noted at the S. Kalinowski Geophysical Observatory of the Polish Academy of Sciences at Świder in 2005. 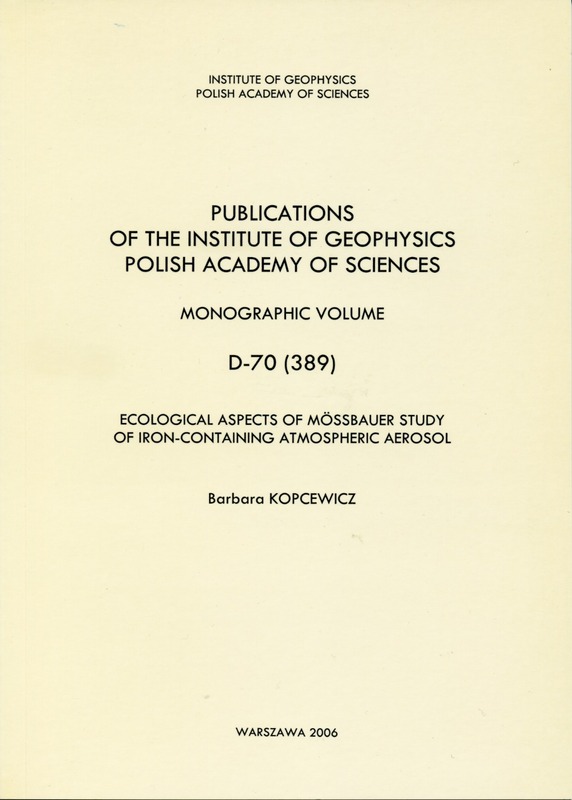 Data for years 1957-1965 have been published in "Prace Obserwatorium Geofizycznego im. 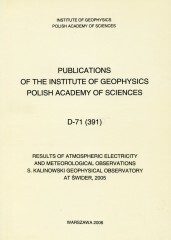 S. Kalinowskiego w Świdrze" and for 1966-2004 in "Publications of the Institute of Geophysics, Polish Academy of Sciences". 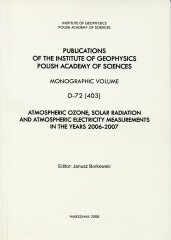 Aerosols are minor, compared to gases, components of the atmosphere, but their role is enhanced by their omnipresence, interactions with atmospheric radiation, and participation in chemical reactions and cloud formation processes. It was not until the 1950s that the regulation of particulate substances in the ambient air has been recognized as an important issue in pollution control. Since that time, the particle size, beside the total concentration of suspended particles, started to be an important subject of environmental studies.